I was slightly concerned about the contact resistance of the 10->8 mm brass compression fittings in my induction heaters tank circuit. Out of curiosity I measured the resistances in my tank circuit. I thought I’d make this small post about how to measure very low resistances. This might be fairly obvious to someone but it still bears mentioning. 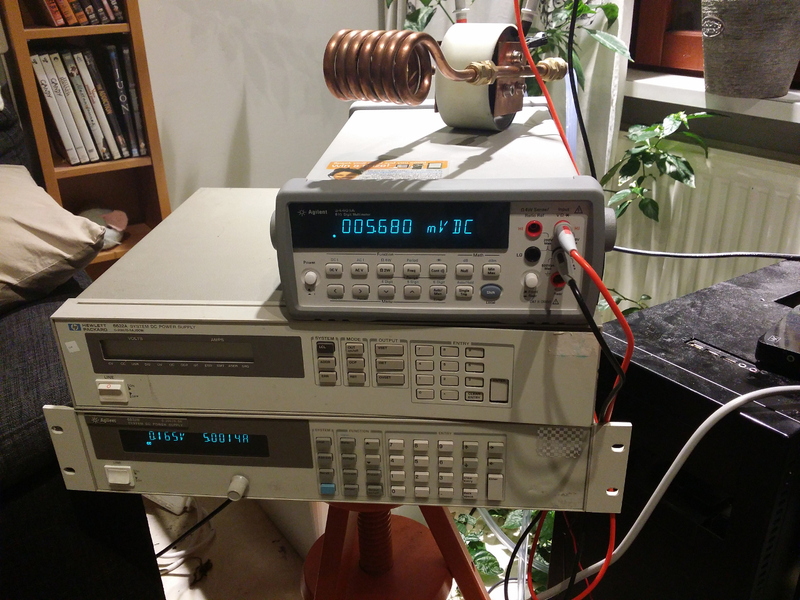 The easiest way to measure very low resistance is by passing a much higher current through the component under test. Multimeters usually pass 1 or 10 mA measurement current which results in so low voltages that they cannot accurately measure resistances much under an ohm or so. Best way to get around this is just feed a much higher constant current through the thing to be measured (make sure you won’t break the component!) and measure the voltage over the part that interests you. Then Ohms law will tell you the rest. The AC resistance of the tank circuit under operation (at around 90 kHz) will be much much higher due to the Skin effect. 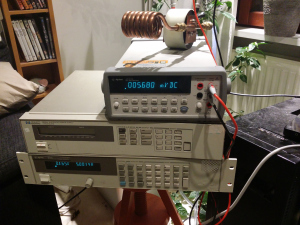 Measuring the actual AC resistance is much more complicated.